The Dutch MW pirates are quite a well-known phenomenon. However, knowledge of these stations is almost non-existent among most DXers and there is little publicity about them other than blogs like ours and the excellent AM Forum. To remedy this fact, we will take a close look at the MW pirate scene and provide you with the essential details to be aware of when DXing the underground stations from the Netherlands. The first Dutch pirate transmitter was built around 1915 and is on show at the Museum for Communication in Den Haag. As far as we know, there were only a few pirates before World War II, but at the end of the war many of the American and French army transmitters were put into circulation all over the country, paving the way for many people to start up their own stations. At this time the pirates provided the audience with Dutch folk music, and this format has mainly been used ever since as the legal stations never have offered this kind of service. 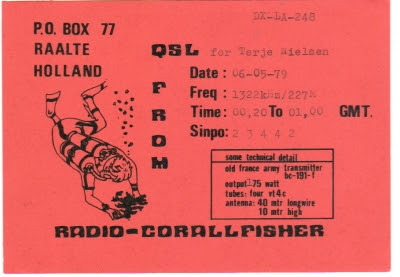 Jumping three decades to the 70s, a new kind of pirate popped up on the 227 metre band (1300-1330 kHz), usually called "international broadcasters" as they had broadcasts in English, dedicated not only to a local audience, but also to DXers all over Europe. For several years the activity on 227 was very intense and many of the stations became very popular. Among those were Radio Corallfisher, Radio Hawaii, Radio Tom Cat and Radio Nolan. The latter told us he could get around 100 letters for only a one-hour broadcast, a figure that most pirates of today can merely dream of. At the start of the 1980s legal broadcast stations began occupying some of the 227 metre frequencies, leaving no space for the MW pirates, and consequently one by one they left the airwaves. 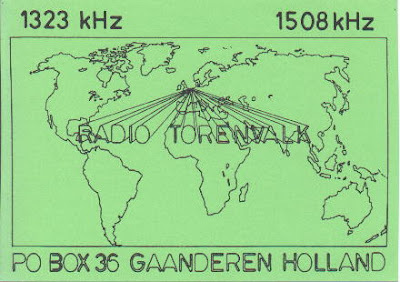 A few years later, however, new frequencies were found in the MW band and the international pirate scene was revived, mainly with broadcasts on 1508 kHz. Radio Orang Utan was the very first station to use the frequency. That was in March 1985, and it turned out to be a very good and clear channel. Just a few months later, several other international pirates also could be heard there. One of the most active stations besides Radio Orang Utan was Radio Torenvalk, who also used 1094 kHz for their regular transmissions. For some reason these frequencies were abandoned after only two years and those stations who were left went back to the 186 metre band and some moved to shortwave. 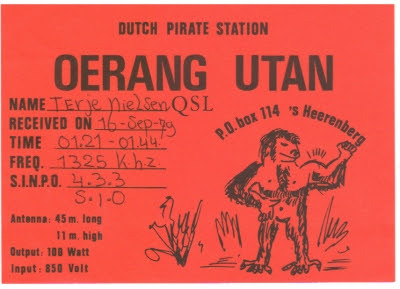 In April 1992 new morse signal stations from Scheveningen in northern Holland began broadcasting on 1611 and 1615 kHz, making reception of Dutch pirates in the frequency range 1610-1620 kHz very difficult. Only a handful of stations continued to operate in this part of the band. However, all was not lost as most of the previous occupants moved down band just a little and could be heard mostly between 1604 and 1610 kHz. A few stations also revived 1508 kHz - the likes of Radio Perlee, Radio Pirana and Radio Barones, who could all be heard with regular international broadcasts. 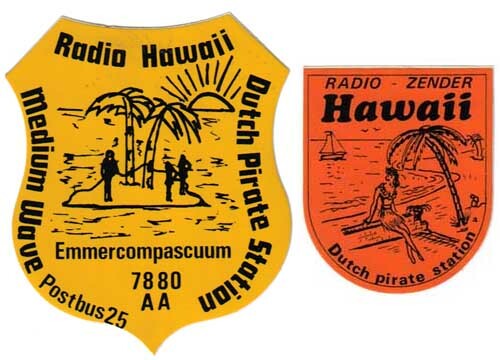 In terms of Dutch pirates on mediumwave we are usually referring to stations operating on the 186 metre band, that is the range from 1610 to 1640 kHz. There are some pirates who operate lower down the MW band - 1539, 1512, 1494 etc, but these are often low-power daytime locals and can hardly be heard from outside their own area. In the last few years some of the Dutch pirates have tried out going a little higher than 186 metres, experimenting on frequencies up to 1700 kHz but, as a rule, you don't hear many stations this high up the band. There are a large number of pirates in Holland, but most of them broadcast on the FM band, some with huge teams of people running up to 30kw of power. Over the past decade MW activity has gradually increased due to the overcrowded state of the FM band, although in the last couple of years some stations have gone silent following closer scrutiny from the Dutch authorities. Basically, there are three types of Dutch pirate operator. First, we have the already mentioned international stations, who usually have a programme format similar to the SW pirates (pop/rock music, jingles and announcements). Names like Barones, Relmus, Wadloper and Batavier fit firmly into this area. In the second category we have the so-called zender amateurs, who provide a service of Dutch folk music. They also often make qso contacts, in which two or more stations give signal strength and modulation quality reports to each other. A QSO starts with two stations initially and often more stations come along with it, which sometimes can develop to involve anything up to seven or even more pirates. Names like Monte Carlo, Toulouse and Noordzee figure here. Last, we have stations whose main interest is to play music to a local audience only. There are also mixtures of these catogories - it’s rather common that some of the pirates make international broadcasts as well as making Dutch folk music programmes and QSOing. The Dutch pirates can be heard daily all year round. The best time to listen out for them overseas is from around 1700 UTC to midnight, and sometimes even later. On weekends activity increases dramatically. The few international broadcasters can mostly be heard on Saturday nights, although other days and times are used too. Some stations have regular broadcast times. You can hear Veronica every Monday evening on 1640, and Vrijevogel is usually on 1650 at the same time. 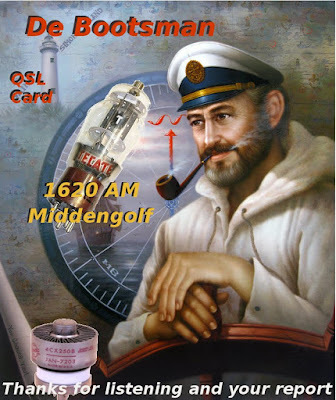 Thursday mornings on 1636 is when you can hear Torpedojager, Sterrekijker can be heard on Friday evenings on 1620, Keizer en Keizerin are active most Saturday evenings on 1636, while early Sunday mornings are a great time to catch Zonnester on 1620, and Witte Tornado is active every Sunday on 1647 kHz from 1500 UTC. While some stations might not have regularly tranmission times, many do have specifc frequencies. While this helps to establish an audience, another reason for staying put is because of the antennas used by many of the pirates. Their coil designs have a very narrow bandwidth, which means the transmitter will give full power and work at its best only on the frequency for which the antenna has been designed. A change in channel can lead to be a big decline in the effectiveness of the antenna. When DXing the Dutch pirates listen for tune-up whistles and strong open carriers all over the band. Many surprise stations can be heard this way and can often lead to some lengthy QSOs. Now and again you will hear announcements between the Dutch folk music records, so listen for the station identifications. A phone number, usually for text messages or WhatsApp contacts might be given out, and often an email address. Some stations might have an email address but no longer announce it as they prefer not to be contacted in this way. They prefer instant contact which does not involve time-consuming responses to emails and sending out qsl cards. It’s not much use telephoning a Dutch pirate unless you can give a verbal Dutch report and be understood. You might have just heard an identification and location given in perfect English, but this is probably the only English the station operator knows, having repeated it parrot fashion for many years. A fair amount of the MW pirates do speak fluent English, but the majority do not. When a station has been on the air for a while with a music programme and announces a close-down, this is the time to listen very carefully. Check all frequencies as more often than not one, two or possibly three stations will be waiting to give him a report. Most stations you will hear have a splendid modulation quality, but a number of the pirates sometimes have a terribly distorted modulation which often makes it impossible to decipher the speech. One way to help matters is to use an amplified audio and a bandwidth filter connected between your receiver and loudspeaker or headphones. The improvement is often dramatic. Another problem with listening to the Dutch MW pirates can be drifting. With DDS transmitters this is far less frequent than it used to be, although unstable carriers can still be noted. Quite a number of the pirates use very old transmitters which continue to move around even when they’ve been on the air for some time. There are quite a few difficulties when it comes to reporting the Dutch MW pirates. Although some of them can be found in the pirate radio chatroom and can be contacted immediately with a reception report, others may not be interested at all in hearing from you. Most of these stations belong to the third category (local low-power operators) and if you do hear one of them, usually the only way to contact them is to rely on the goodwill of a pirate in the neighbourhood and ask him to forward your report to the station in question. The best way by far to send a report to a Dutch pirate is through an email. Report forms might do for most international stations but you should always add some personal details. Try to use Dutch if possible. Although not necessary, it will be appreciated since some of the operators don’t speak English. You can include a SINPO rating, but it will not be understood by a lot of pirates. Therefore, you should also describe the reception in words. Primarily they are interested in signal strength and modulation quality, which simply can be described as any of poor, fair, good, very good etc. Then you can go on describing any type of interference and anything else that might be of interest to the station. Since many stations play Dutch folk music and QSO in Dutch, it might be difficult for you to get appropriate programme details. To spare this trouble, you can enclose an MP3 recording of the reception, which is always highly appreciated by the pirates. But if you do send an audio report, also record some other stations you have heard as this is likely to interest him as much as his own signal. 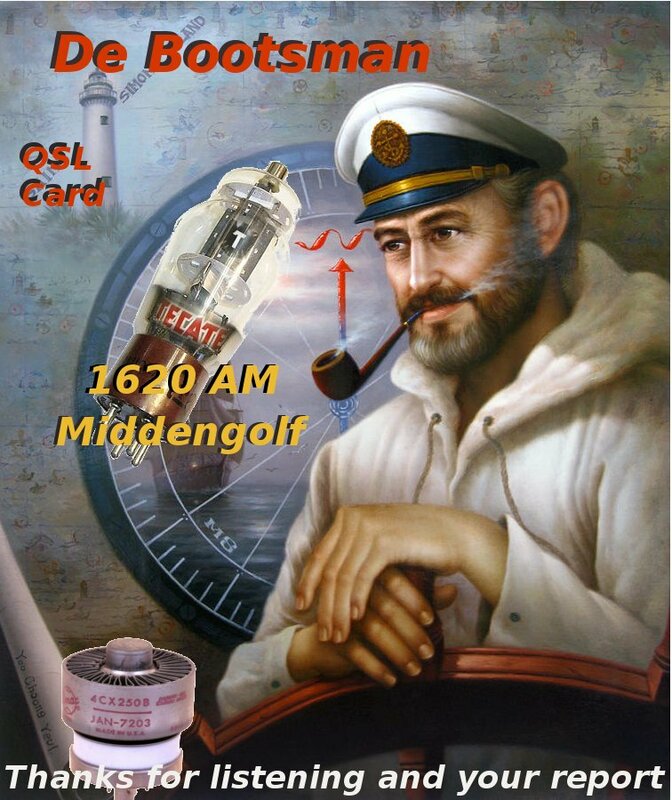 If you receive a response and a QSL you should always send the station a note of thanks for the reply. This may sound unnecessary, but it is self-evident that politeness is much appreciated by the pirates. It also helps the next DXer's report gets a reply as well. Any radio receiver that covers the required range can be used to DX the Dutch MW pirates. For the best results, however, a communications receiver that has good selectivity and sensitivity and a digital frequency readout is what you want. 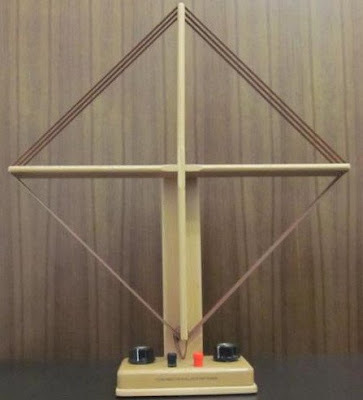 The best antenna to use for Dutch pirate DXing is a loop, either indoor or outdoor. 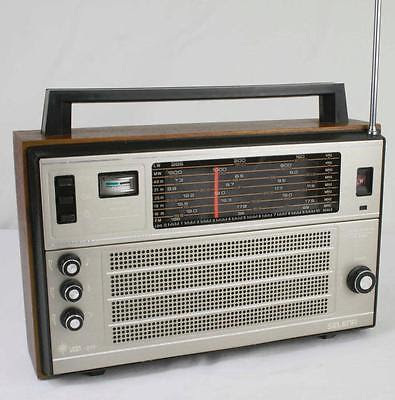 My very first receiver was a Russian-built Vega Selena 215, and I have happy memories in the early 1990s listening to the likes of Radio Barones. There was no digital display, and tuning to certain frequencies was all rather hit and miss. 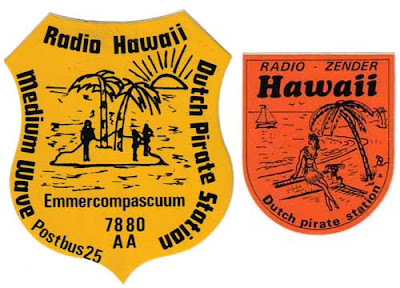 I've heard the strongest Dutch pirates on all sorts of radios, some very inexpensive. Reception is largely down to the antenna. Get that right and you're guaranteed to hear plenty of stations. After the Vega, I remember a Sangean ATS803A, a Sony ICF2001D, and a Lowe HF150. I still have all these, but now mainly use a Lowe HF225 and a Kenwood R5000. 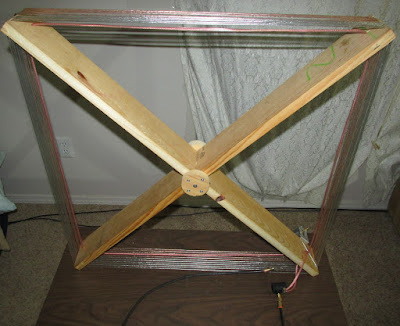 When I first started out I built my own little box loop antenna. High-tech it was not - in fact, it was a very crude design. However, it worked well and pulled in plenty of Dutch MW pirates. I later upgraded to an octagon design, and used it with an amplifier, which again gave very good results. These days I have a couple of portable loops for holidays, but mainly use a Wellbrook loop antenna pointing straight towards the Netherlands, and it really is very good. Most residential areas have plenty of local interference, and I get my fair share here, too. So, in order to combat this and get noise-free reception of the pirates, I use a noise cancelling unit. This requires two antennas (the loop and, in my case, a shortwave inverted v) and uses one against the other to null out the offending signals. I find it an essential piece of kit. I hope this information has been useful and provided an insight into a sometimes confusing part of the radio spectrum. If there is anything I've missed or something specific you would like to know about the Dutch MW pirates, I'll always do my best to help. Just drop me an email at mwpiratefan@gmail.com. Great post and a timely promotion to the 2016/17 winter MW season, Thanks. Thanks Dave. Hope people find it useful. Please feel free to share on Facebook, Twitter etc folks. Very interesting article. I think as far as QSLing MW pirates the best advice would be keep an eye on DXers' blogs and Facebook pages where they normally post any recently received eQSLs. This year I've received QSLs from MW stations Armada, Uniek and Nachtzwerver. The more international stations tend to use Iann's pirate chat room as well where you can also get help with IDs among the Dutch speakers in there. A fascinating and very informative article, David. I found it very interesting and have provided a link to it on my blog. Thanks! Wow...What a great trip down memory lane.I visited Radio Nolan in 1980? ?Along with a good friend who is known as Mark Stafford . I'm still in touch via Facebook with Jan from Radio Nolan.